Spot the right whales, orcas, bottlenose dolphins, pilot whales - you might even sight a blue whale! Lovely day out on the boat, easy registration and ticket pickup process. A quick safety briefing before we left and then we boarded the ship and we were off! Boat was full, but there were always seats available inside or outside. Best seats up on the front of the boat filled up fast, and it was a pleasant trip out with great weather. We did see dolphins, unfortunately no whales, but we understood it was just a matter of luck. The boat was a research vehicle as well, so they had staff sample parts of the water in different areas where dolphins or birds were spotted, so that was interesting. 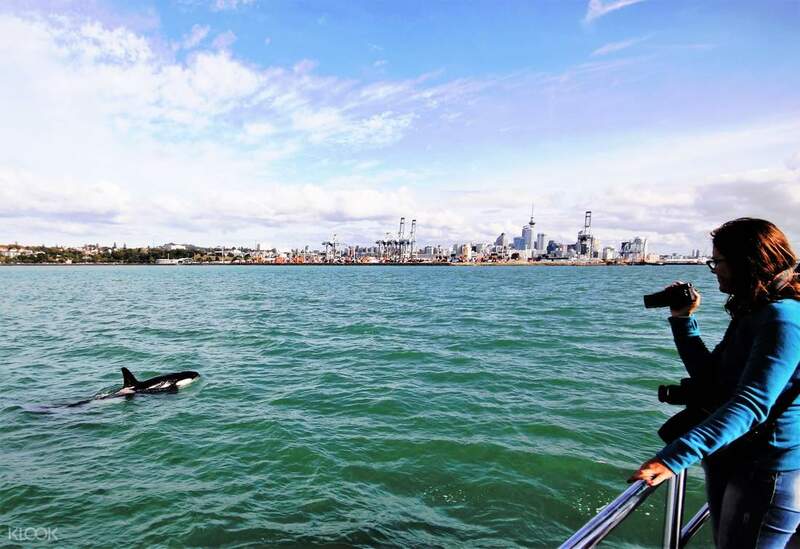 Just off the coast of Auckland are pods of whales and dolphins, and you'll be able to see them through an unforgettable cruise that allows you to explore Hauraki Gulf Marine Park. 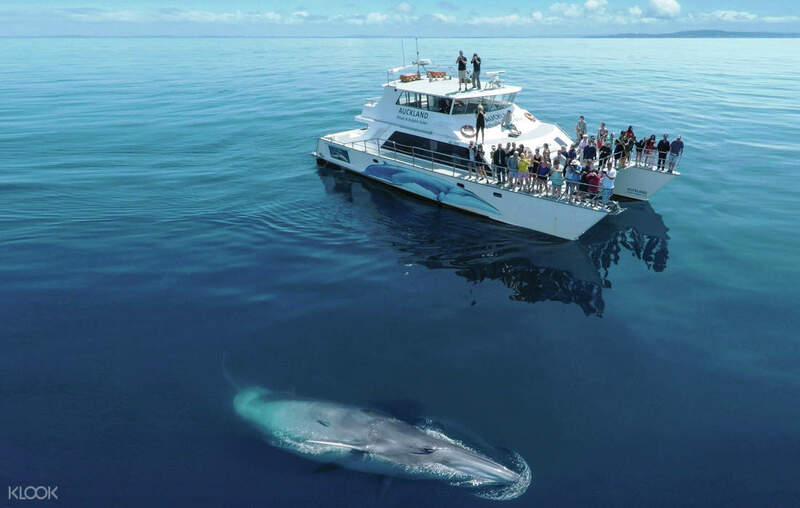 Climb aboard and, with the company and commentary of an experienced crew, you'll head into open waters of the gulf, seeking out these brilliant mammals. On the way, you'll also sight some rare seabirds that can only be found in New Zealand, as they hunt over the surface. Among the most popular dolphins to spot out in the gulf are the common and bottlenose dolphins, but if you're truly lucky, you'll sight the magnificent Orca, or killer whale (which is actually a dolphin!). 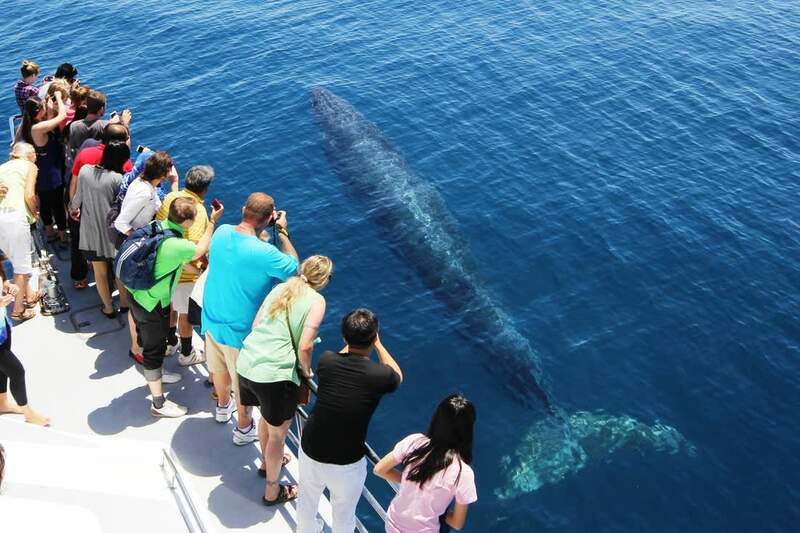 The pods of whales are humpbacks, long-finned pilot whales, minke whales, and southern right whales, but there's also the chance that you might see the biggest animal in the entire world: the blue whale. 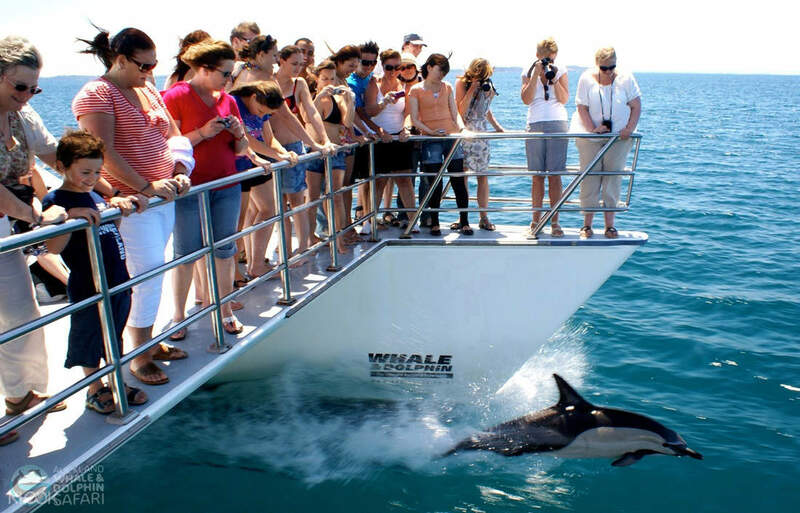 All these species depend upon the season, and your onboard guides will give you fascinating information about these sea mammals as you enjoy your cruise. Catch sight of a variety of dolphins, including orcas! Wonderful experience with the dolphins swimming by our side! The crew were awesome and informative! Wonderful experience with the dolphins swimming by our side! The crew were awesome and informative! Excellent day out, I doubt if many get as close to a whale as the publicity picture, but I was thrilled to see one, even at a distance. However the Dolphins and Gannets diving into the sea were spectacular. All this and a very informative crew. Excellent day out, I doubt if many get as close to a whale as the publicity picture, but I was thrilled to see one, even at a distance. However the Dolphins and Gannets diving into the sea were spectacular. All this and a very informative crew. Lovely day out on the boat, easy registration and ticket pickup process. A quick safety briefing before we left and then we boarded the ship and we were off! Boat was full, but there were always seats available inside or outside. Best seats up on the front of the boat filled up fast, and it was a pleasant trip out with great weather. We did see dolphins, unfortunately no whales, but we understood it was just a matter of luck. The boat was a research vehicle as well, so they had staff sample parts of the water in different areas where dolphins or birds were spotted, so that was interesting. Lovely day out on the boat, easy registration and ticket pickup process. A quick safety briefing before we left and then we boarded the ship and we were off! Boat was full, but there were always seats available inside or outside. Best seats up on the front of the boat filled up fast, and it was a pleasant trip out with great weather. We did see dolphins, unfortunately no whales, but we understood it was just a matter of luck. The boat was a research vehicle as well, so they had staff sample parts of the water in different areas where dolphins or birds were spotted, so that was interesting. There is no Dolphin can been seen. But staffs are friendly. If there is hot water supply with free would be better during cold weather. If there is some jacket can be provided when weather getting cold, it helps a lot. There is no Dolphin can been seen. But staffs are friendly. If there is hot water supply with free would be better during cold weather. If there is some jacket can be provided when weather getting cold, it helps a lot. It was cancelled and no one informed us. We expect either KLOOK or tour operator should be informing us. Major shift in our itinerary and planning. It was cancelled and no one informed us. We expect either KLOOK or tour operator should be informing us. Major shift in our itinerary and planning.